I am delighted to welcome you to the launch of The Website D.B.A. Khanewal. I wish to extend my gratitude to the Senior Associate and all the other members of the Bar as they are the backbone of this scientific Endeavour. And we could not envisage starting this website without the support and professionalism of the members of D.B.A. Khanewal interested in natural toxins and wishing to make this achievement a success. Because, It is a need of hour to participate an advocate for modernization and development of Pakistan to achieve a more sustainable future specially in legal Faculty. In closing, let me welcome you to this website to manage your professional identity. Build and engage with your professional network. Access knowledge, insights and opportunities I, therefore, request the D.B.A. Khanewal Members to contribute to the program by participating and sharing the experiences. 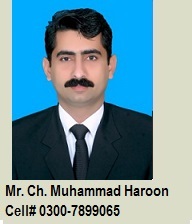 Before parting this message I shall feel necessary to pay tribute to Rana Israr Alam Advocate (library Sectary District Bar Association) and Soft Dot Com for day and night efforts for launching this website. I hope that your visit here stimulates a further interest. May Allah Bless You All. 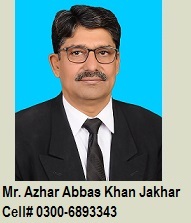 I am delighted to be acknowledged that this Website is going to be a platform for the Lawyers of Khanewal, to share their experiences regarding the rapid growth and social development of internet.I would like to emphasize the compelling reasons for launching a website in this ever expanding area of research in the Law, as well as our aspirations and vision for the future. I believe that it is important to have a website which gives free access to its contents and promotes high-quality research and intellectual output of Lawyers who have limited access to the main stream of Lawyers Community. We aim to bridge the gap so that lawyers get a wider audience for their high-quality achievements. We are looking forward to hearing from you and thank you for your interest in the Official Website of District Bar Association of Khanewal. In the end I would like to pay fabulous tribute to Rana Israr Alam Advocate (library Sectary District Bar Association) and Soft Dot Com for their great efforts which made this dream come true.